Let me begin this post by addressing the furniture purists. Hello, you. You’re smart, and you have valid opinions, and I love that you’re passionate about maintaining the original beauty of pieces. Because someone put their blood, sweat, and tears into designing them in all their glory. So you shouldn’t mess with that. I get it. I feel you. I mostly agree with you. But this dresser… THIS. DRESSER. was too far gone, and it was paint, or get off the pot trash it. I promise I didn’t mess up a good thing. I made a mediocre thing great. There were, however, some bumps in the road on this journey. 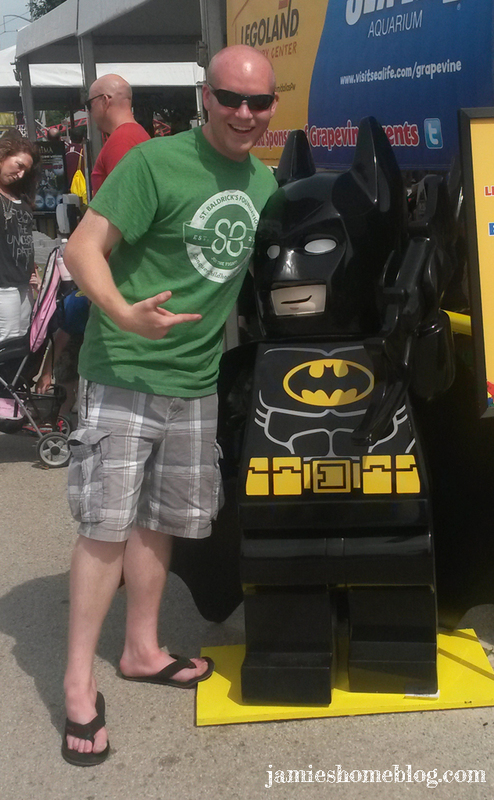 Come along with me and see… Sorry in advance for some of the more blurry pics. Uhhh, how long ago did I buy this dresser? Oh right… like three years ago. I found it via craigslist. Three years, and I’m just getting around to giving it a makeover. Sorry, dresser. 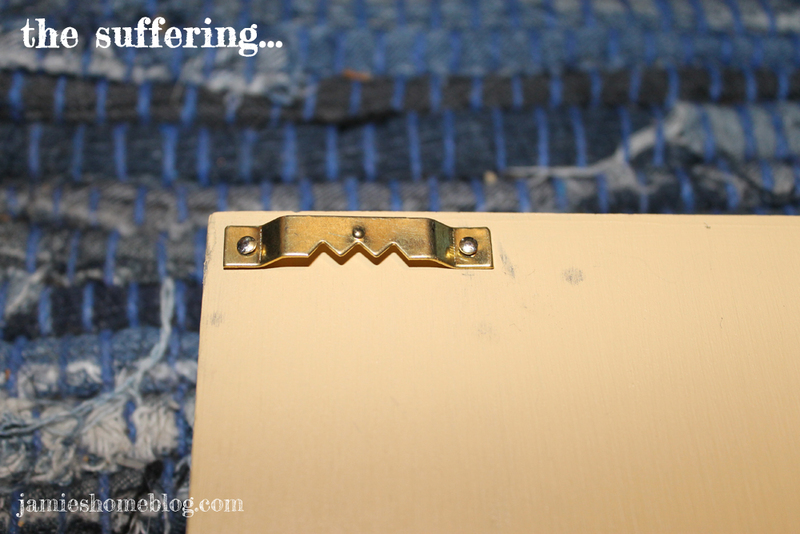 The veneer surrounding the piece was a MESS. Scraped, chipped, scratched. At some point, a previous owner sought to paint it, I guess, because there was a big white unfinished spot on one edge… And the color… The color was atrocious. If I’m spitball guessing, I’d say that someone, at some point, polyurethane’d the heck out of it, which left it with a stale, burnt, pale yellow hue. 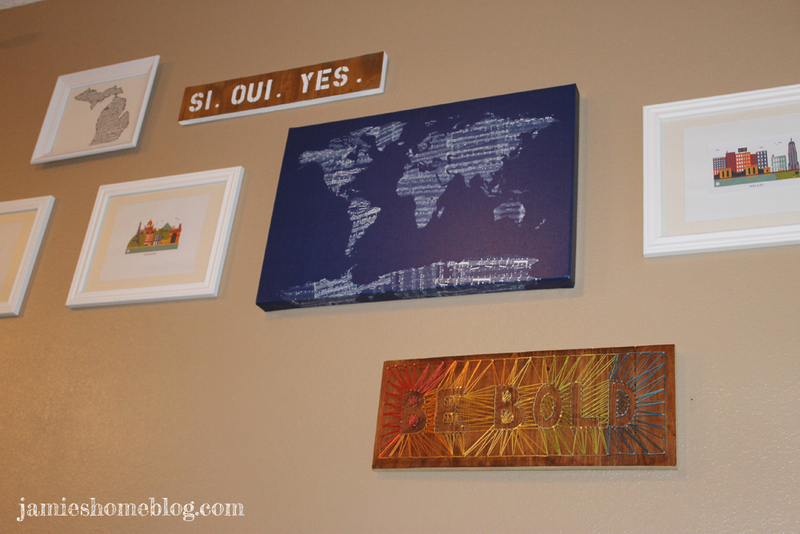 I used a diy chalk paint formula that calls for plaster of Paris, and when I picked out a perfect, very dark navy blue, I didn’t account for the fact that the powdery white plaster of paris would *significantly* lighten the color. I tried to convince myself that it wasn’t awful for weeks, but really, I hated it. So when I was ready to pick the project back up, I went with a crispy bright white. A – I thought it would look amazing and B – there was no worry of the plaster of Paris changing the color. 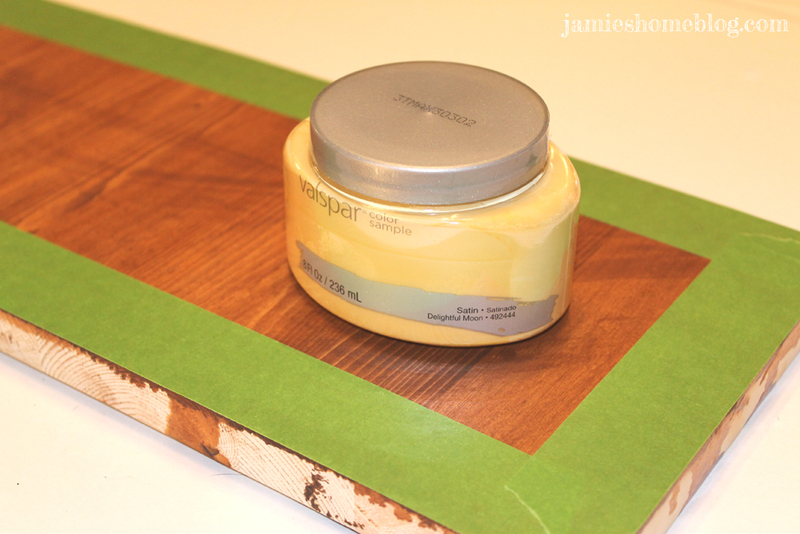 I used this formula for the chalk paint, and used a sample size of Valspar Polar White for the color. I was wayyy happier with the white. 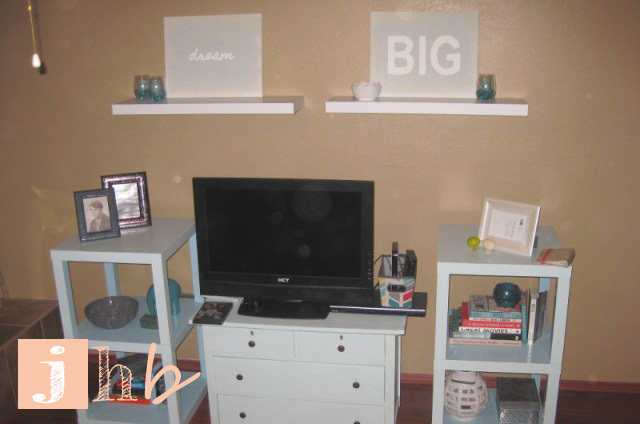 And really, despite hating the first color I picked, I loved using the diy chalk paint. 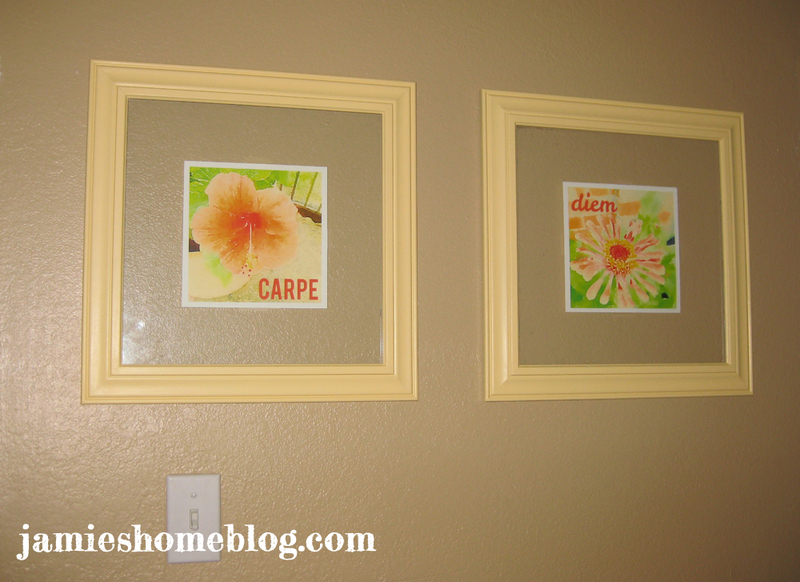 It takes some getting used to (the texture is different, even when compared to professionally mixed chalk paint). It was almost like painting icing on a cake. A lot of icing on a very large cake. 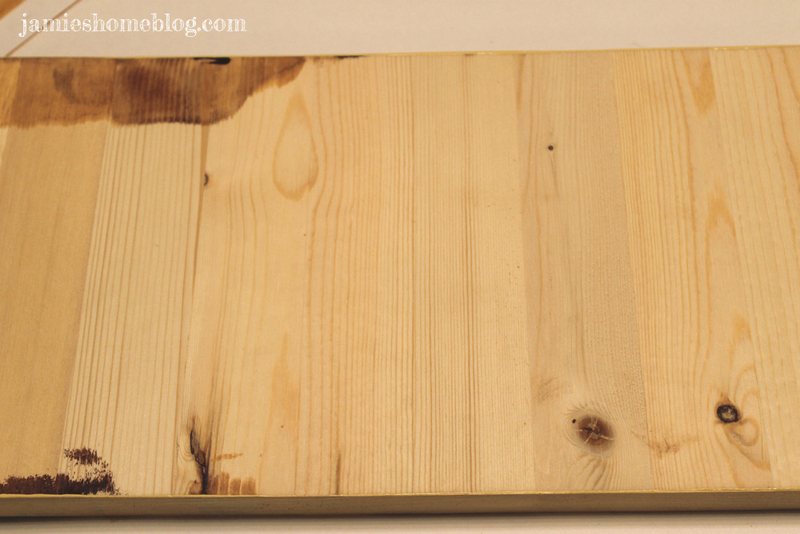 I recommend making your coats as thin as possible with chalk paint. It’s super thick and has amazing coverage. I covered the crazy blue with just THREE COATS of white. 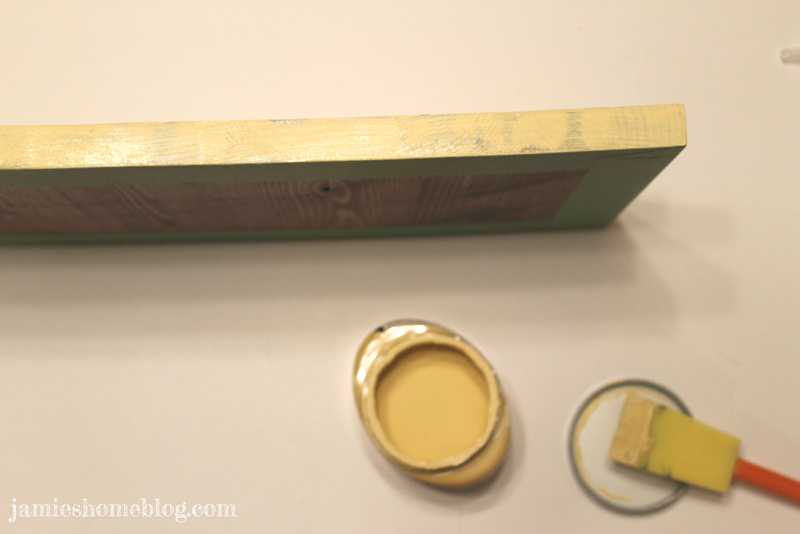 No priming, no sanding, straight up paint on a brush, applied to the dresser. 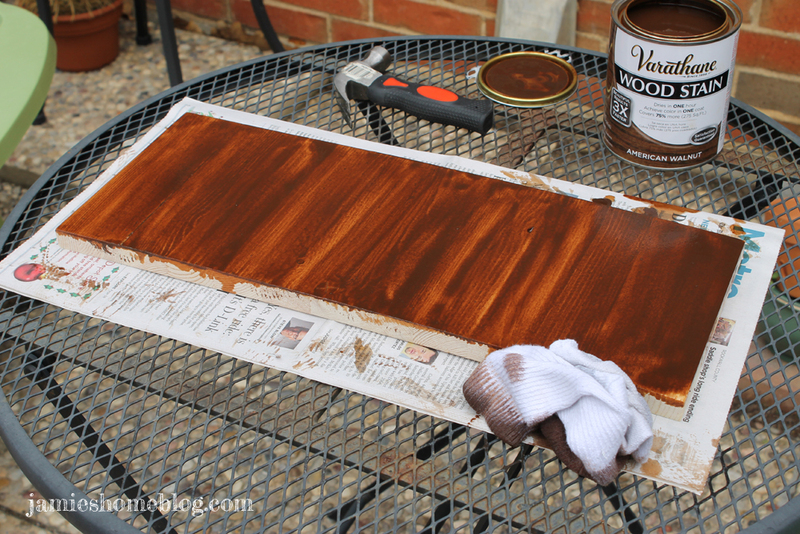 Three coats, plus one coat of paste wax on top to protect the finish. How’s that for a slice of fried gold? For the drawer fronts, I used Minwax Polyshades in Mission Oak, in a satin finish. A flat finish may have been a better choice considering the chalky flat finish you get with chalk paint, but the difference in finishes isn’t noticeable to me. I did sand these before applying the stain to remove the existing layers of poly and general yuck. The wood veneer on the drawers was in good condition, and it was thick, so it held up to a moderate session with my power sander. The big plus of the polyshades product (no, this post isn’t sponsored) is that you have your stain and poly all in one step. Efficient and easy. Two coats, and I was good to go. The end result? A super handsome, two-toned, MCM dresser, upgraded from ick. I am ecstatic with the outcome of this long-awaited (if only by me) project! Side note – I also switched out my green window-pane mirror (which was too small for the wall) for a six piece gold sunburst set… have mercy. What a big difference! Here lately, I’ve been doing this thing on Fridays that I call “a craft + a craft”, where I do a craft while drinking a craft beer. 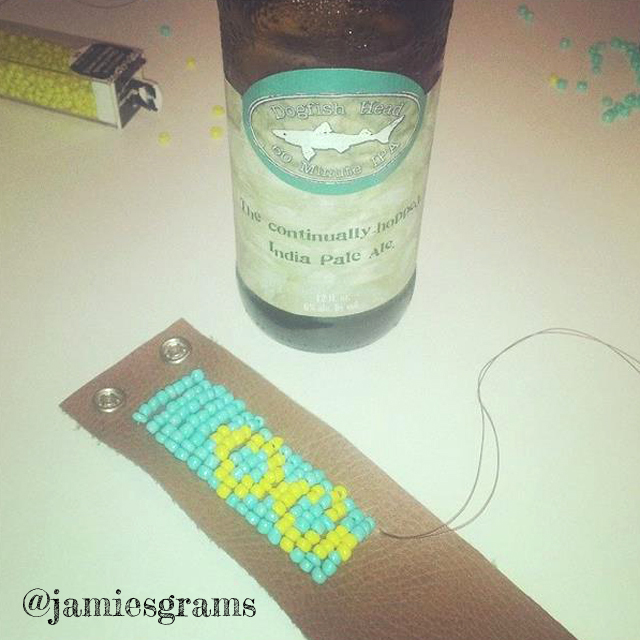 As evidenced here: a cuff bracelet + a Dogfishhead 60 Minute IPA. It’s a nice little way to unwind from the work week. Recently it inspired a friend of mine to post a craft + a craft of her own: string art and a Goose Island Bourbon County stout. 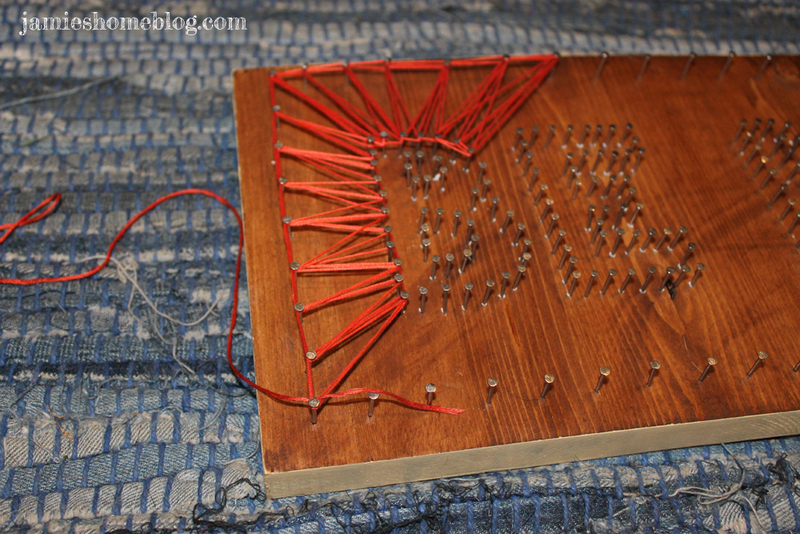 Which in turn inspired me to do some string art of my own. Ah the circle of life. Or something like that. 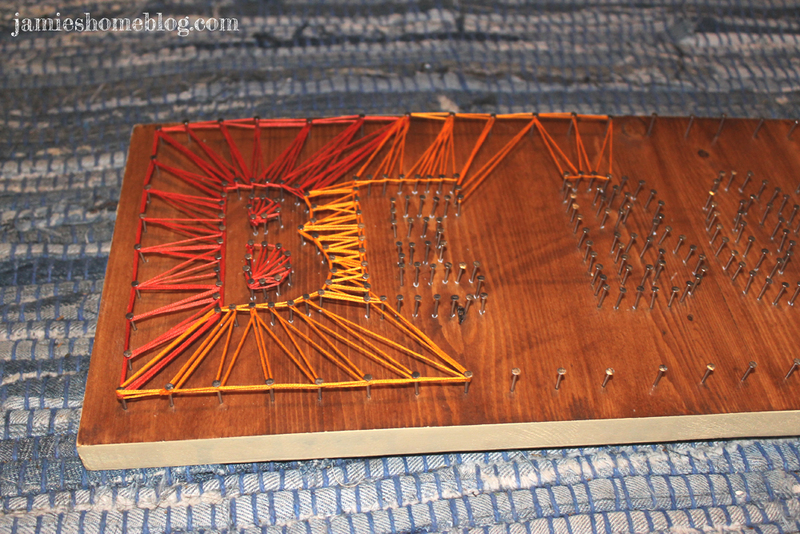 Anyway if you’re on pinterest you’ve seen, like, a fazillon string art pins. I feel like maybe its a diy blogger hazing technique right of passage to make one of these bad boys. 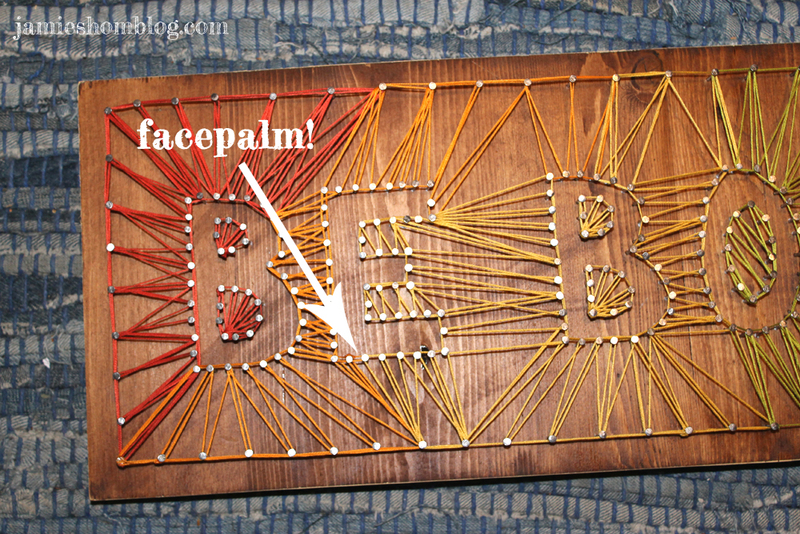 So here’s the story of the first (and likely last) time I made string art. Oh, I know I say this a lot, but one thing you really need for this project is patience. 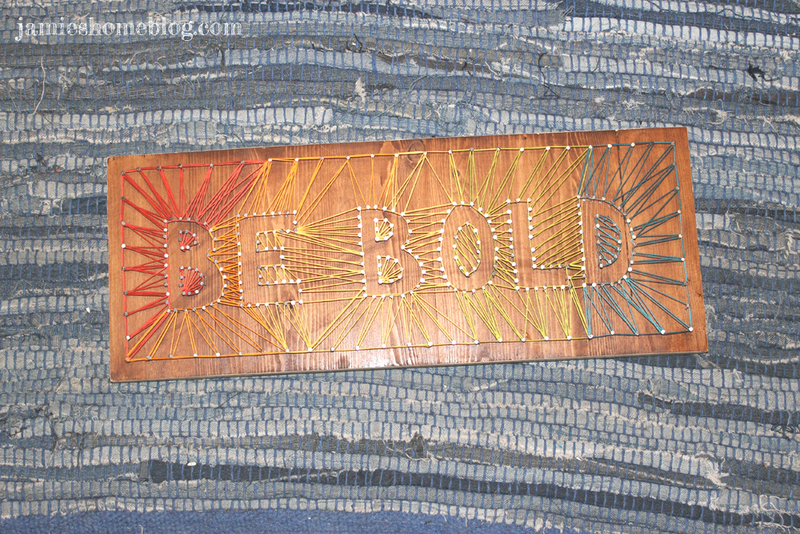 I am super happy with my string art, but it took several days to finish. 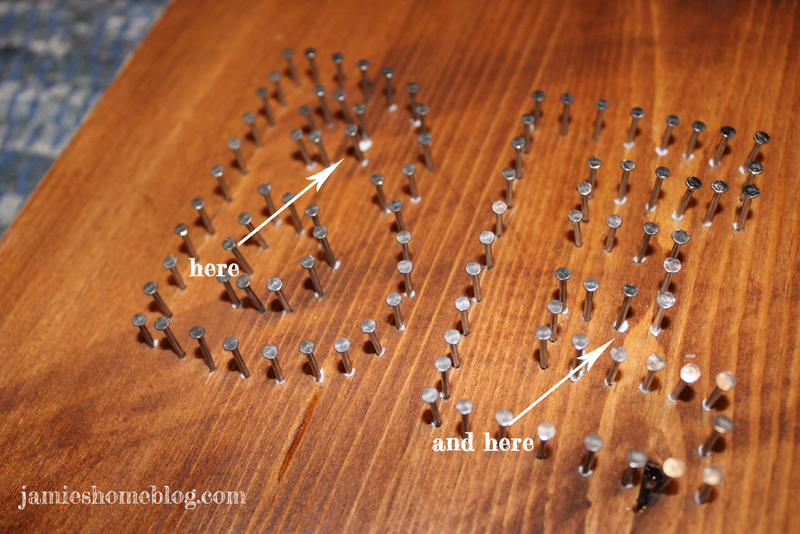 I really didn’t consider how long it would take to hammer 321 (yeah, that many) nails into a board, close together, in a specific design. It’s tedious work and can be really tiring on the eyes. And I happened to make a grand total of seven tiny-huge mistakes while making this dern thing. That being said, if you wanna know how it’s done, read on friend. 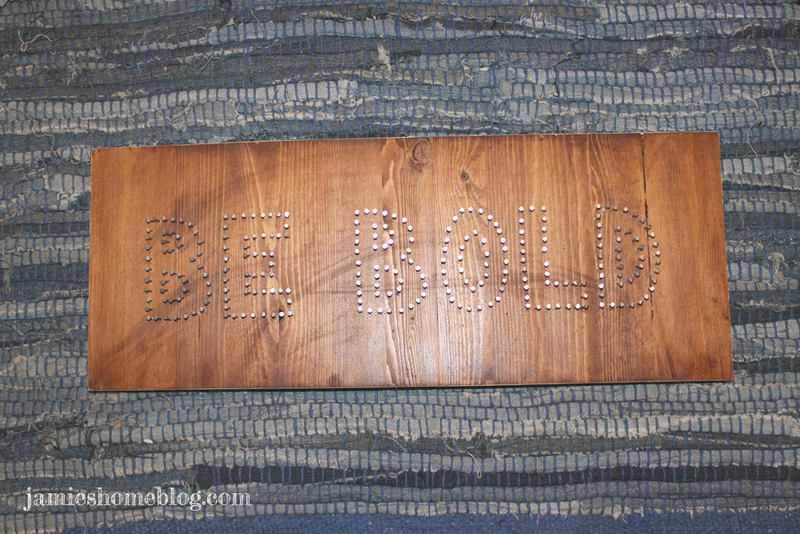 First, I took a scrap piece of wood I had and stained it. Incorrectly (mistake number one). You know how the can says shake well? Do that. Or you’ll end up with this. I tightend the lid back on the stain and shook the heck out of it. 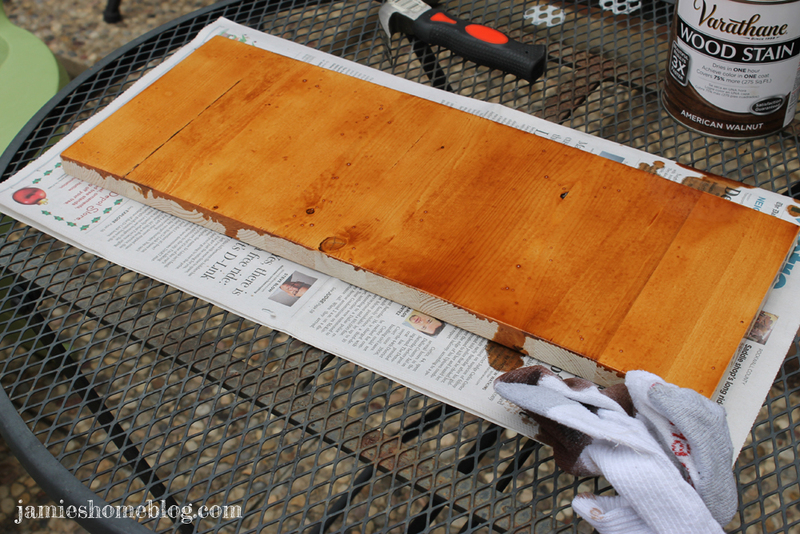 Then opened her back up and stained the board correctly. 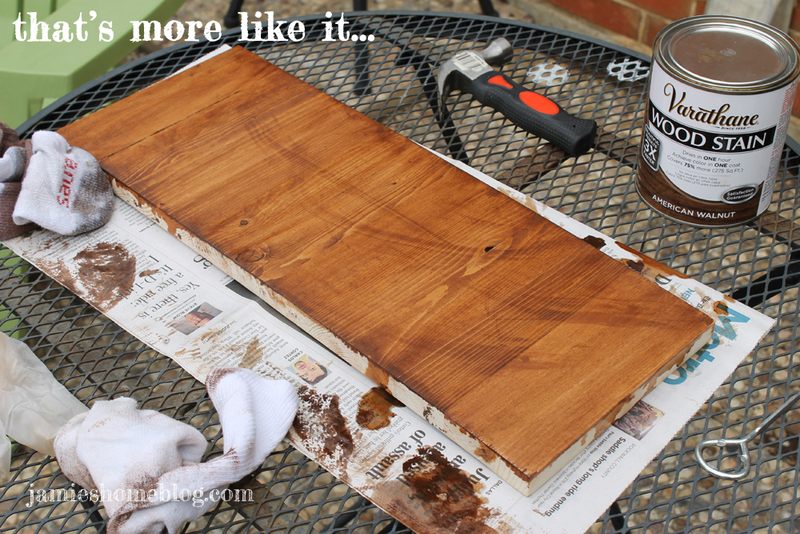 If you’ve never stained wood before, trust me, it’s easy. 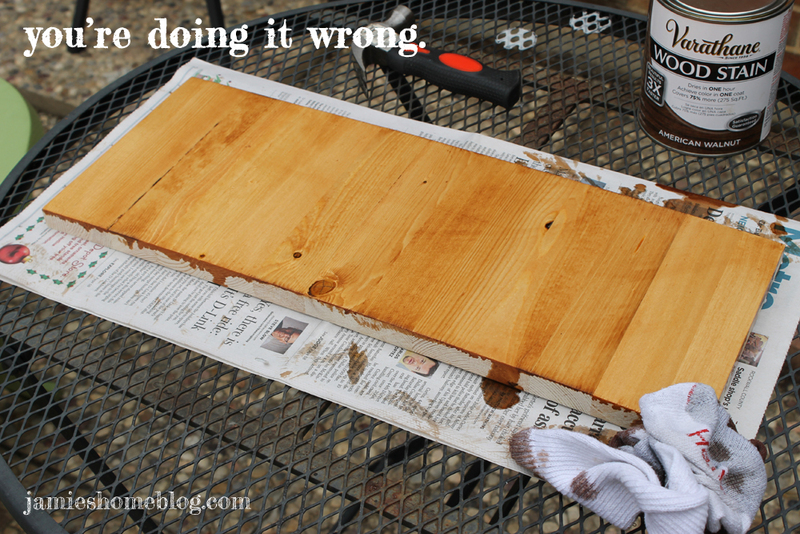 Make sure you read and follow all instructions (including the ones for safety) but the gist of it is that you liberally apply stain to your wood, let it sit for a few minutes to penetrate and then wipe off the excess. The next thing I did was to paint the sides so they didn’t look sloppy with stain. I also painted the back. I know no one is going to see it, but if it were left unfinished, I would know and it would undoubtedly drive me nuts. I used latex paint leftover from my stripey art (Valspar Delightful Moon if you’re curious) and did it standing in my living room (mistake number two). 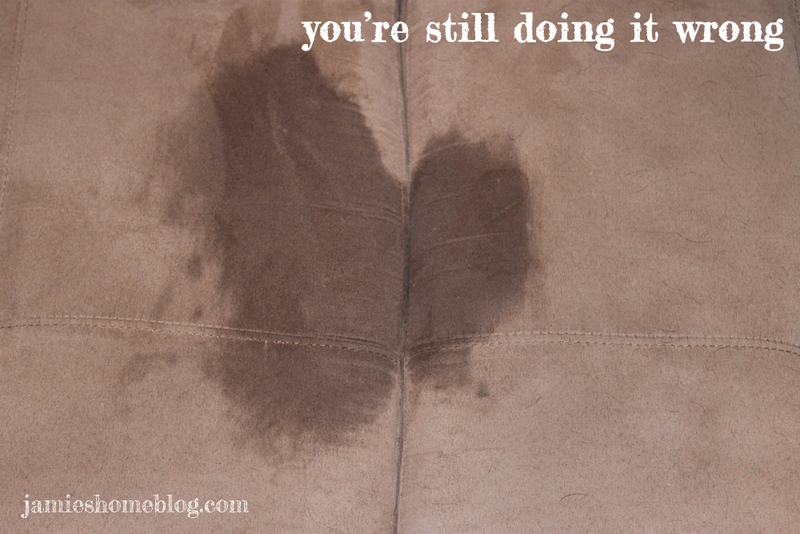 When it dropped onto my couch and got wet paint on two of the cushions, naturally I started spewing four letter words and skittering around my kitchen in a panic. The fella hooked me up with a wet rag and I think we got all the paint up. The fella is pretty cool under pressure. A couple of days later, the paint was dried and I was emotionally prepared to come back to this project – or so I thought. I used regular computer paper as my template and a yard stick as a guide to be sure everything was level. 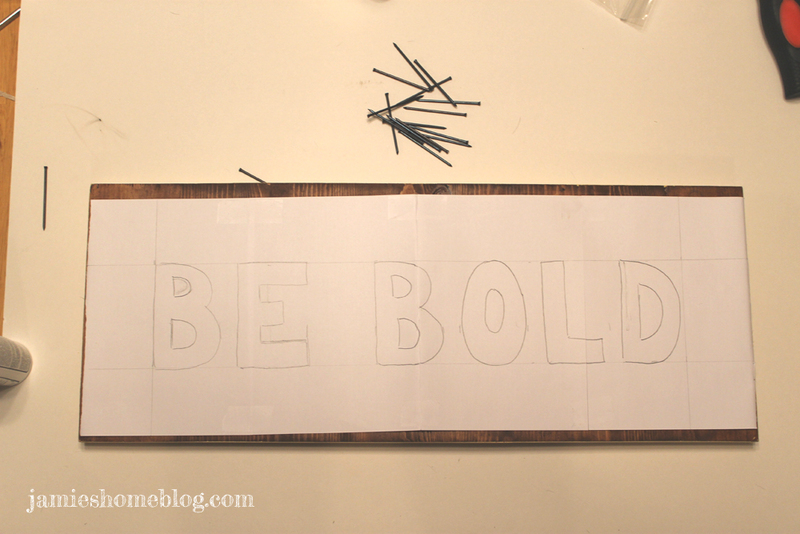 I taped the template to the board and got to work with my nails. 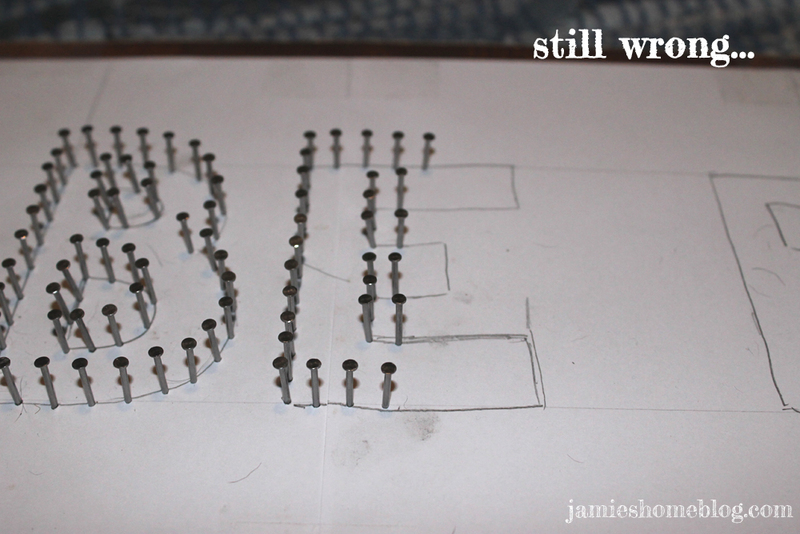 I worked from each letter’s corners inward so I could be sure everything was spaced evenly. Did that even make sense? Here, look at this picture. I did that for like an hour plus. 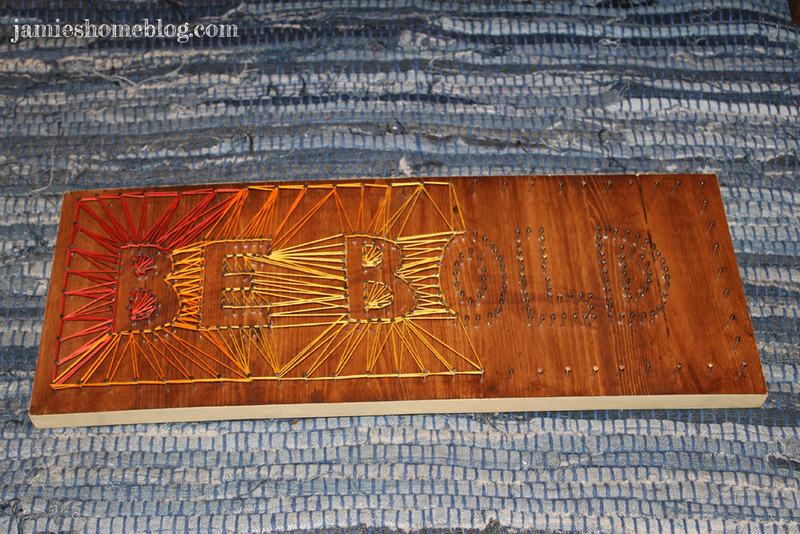 Until I got to this point and ran out of nails. 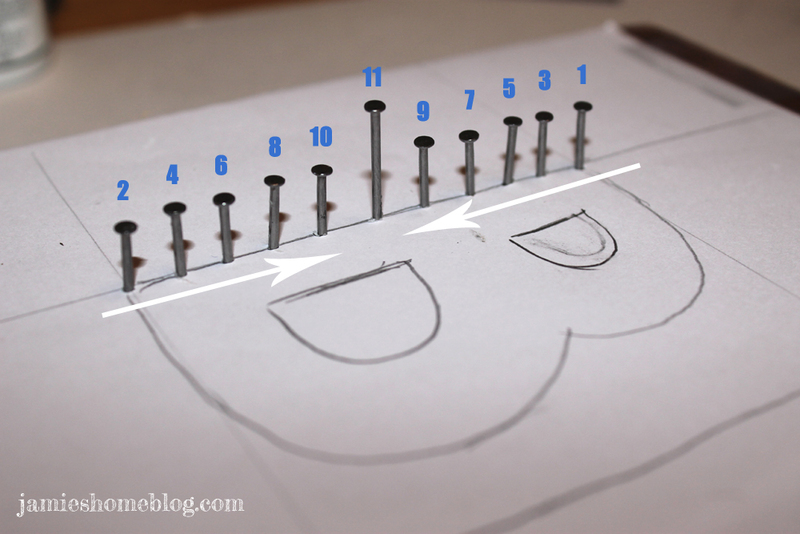 Always make sure you have enough nails (mistake number three). It looked like I had so mannnny when they were in the box, y’all. I went to the hardware store to get more, without bringing one of them with me to compare (mistake number four). I grabbed a few boxes of 1 x 17 wire brads and made my way home. But I didn’t need wire brads. I needed wire nails. And the difference between the brads and the nails is that the head of the brad is much smaller than that of the nail, meaning what I bought didn’t match what I had already used. More four letter words. Does it get easier? I wish the answer were yes. Once the brads had been exchanged for nails I kept hammering away. I hammered in the mornin’. I hammered in the evenin’. All over thi… sorry I’m getting off track and realize that my Mom is probably the only person reading this who will appreciate those last few sentences. After all the words were nailed in I carefully ripped my paper template away from the nails. 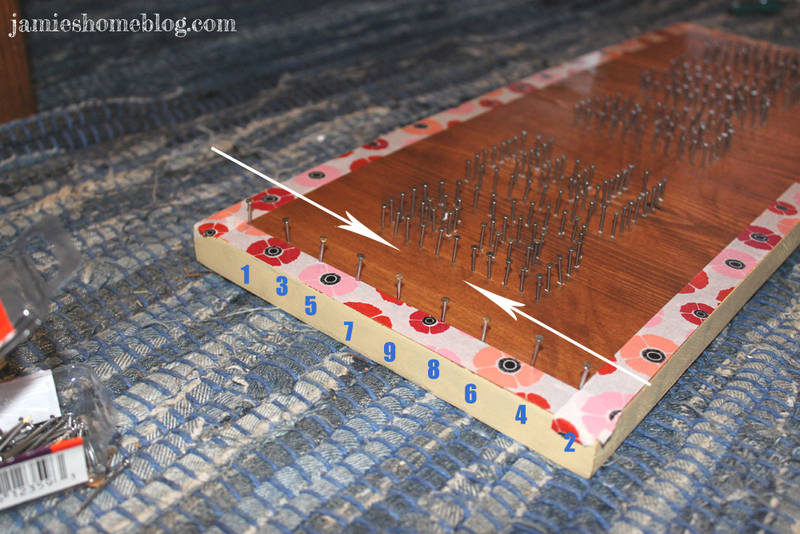 There were still a few scraps stuck to the nails, but they came up easily with tweezers. It was at this point that I realized that I hadn’t yet attached my saw-tooth hanging brackets to the back (yes, mistake number five). So I clenched my teeth, flipped the board over in my lap and hammered in the brackets while the words BE BOLD dug into my thighs. I used two brackets, one for each corner, since I noticed way too late (mistake number six) that my board was slightly bowed in the center. I flipped it back over and got started on the border nails. I used washi tape as a guide to make sure my line was straight. I again used the technique of starting in the corners and moving to the center. Then the labor was over!!! Lies. But this last part goes fast, I promise. 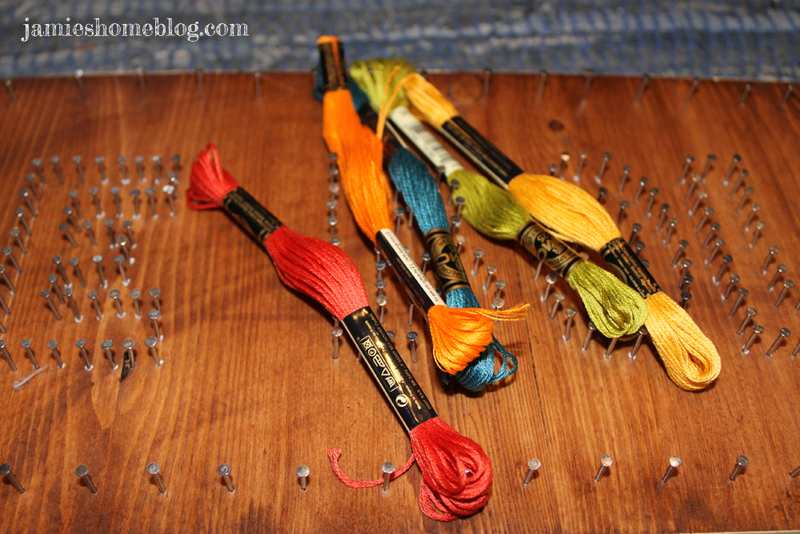 I used five different colors of embroidery floss and decided to go in rainbow order. I tried to keep a sunburst pattern going the whole time and each time I finished with a color, I tied the string off and then dabbed fabric fusion glue on it to make it extra secure. Oh and the seventh and final mistake? I missed a spot and had to tie an extra bit of orange on. 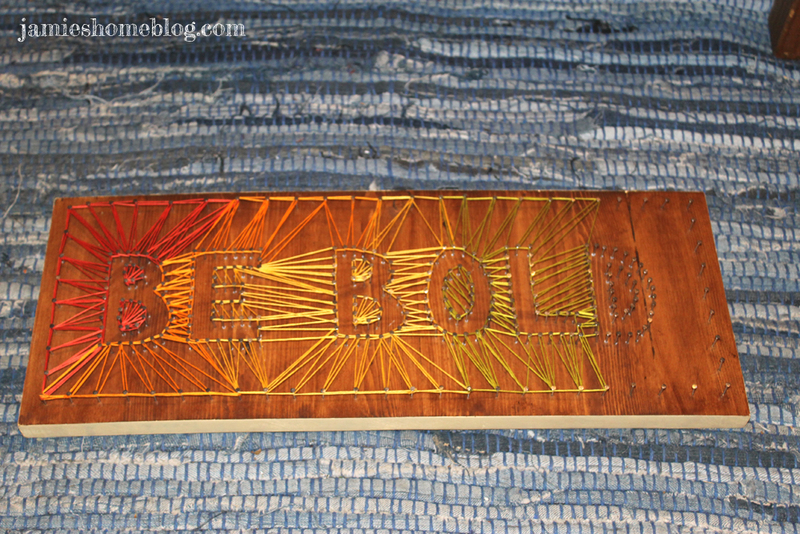 All in all, I LOVE my string art. It looks super cute. But will I be trying it again any time soon? Hell no, that’s what Etsy is for. Hey internet. So… after proclaiming a couple of weeks ago in my blogiversary post that I’d like to be on here more often, I went silent. There are a host of things happening at “jhbhq” (good and not so good) that have kept me away. I’ve basically been vacillating between being super proud of my Airman and weeping because I can’t share life’s daily adventures with him. Luckily for me, my bestest friend won’t be gone very long. Luckily for you, I am going to do my best not to whine about it. That being said, I now have amplified free time in the event of his absence, so you may see lots of little crafty crafts on here, along with some larger projects that are both in-progress and in the pipeline. For now I’m going to pop in really quick to show you how I royally screwed up one of my in-progress projects. Friends, when you use oil based primer, you have to clean your brushes thoroughly with mineral spirits if you plan on ever being able to successfully use them again. I do this every time I use oil based anything. 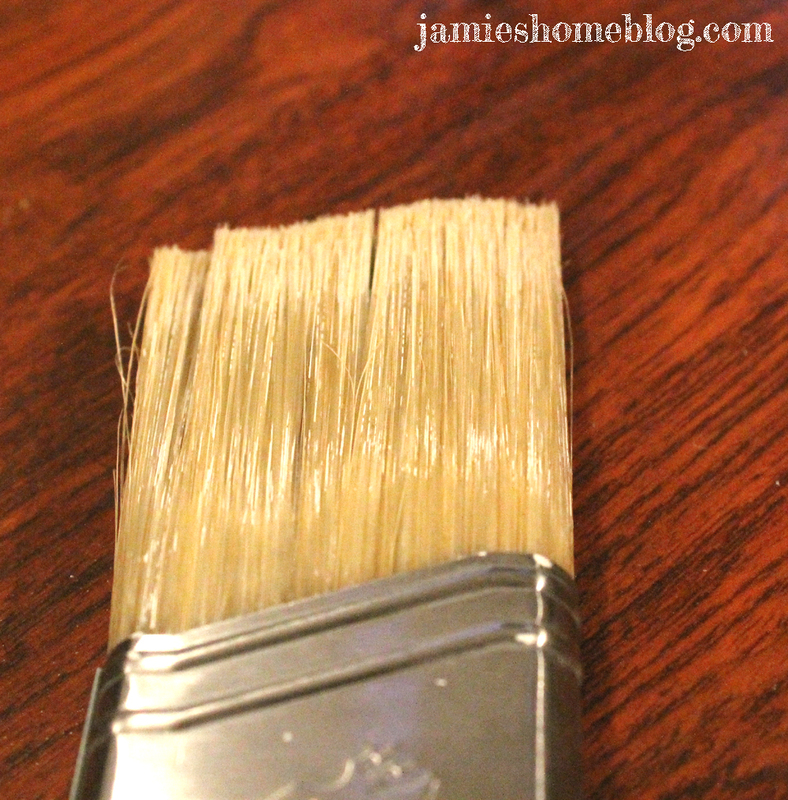 Including the last time I used this brush (a Blue Hawk brush for oil based paint). As you can see from the picture, I half-assed it. Admittedly, when I last cleaned the brush, I was having serious trouble getting all of the primer off (probably because I waited a smidge too long to clean it), and I’d been at it for what felt like a half hour, and it was late at night, and I was hungry, and I had to get up early the next morning for work. And then yesterday, when I dipped the brush in some polyurethane and brushed it onto this carefully painted black surface, those flecks dropped from that brush like it was their job. Ahem. It WAS their job WHEN I WAS CLEANING THE THING! 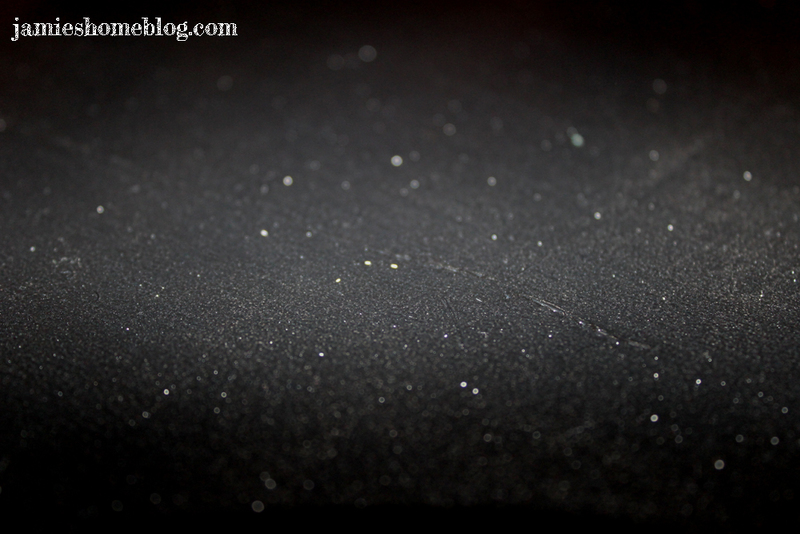 And now my black surface looks like some sort of janky constellation map. Now that I’ve spent a day pouting about it, I’m able to share it with the world in hopes that you wont be as lazy as I was the last time I cleaned this thing. I’m not sure how the heck I’m going to fix my project but I’m going to spend the weekend trying. 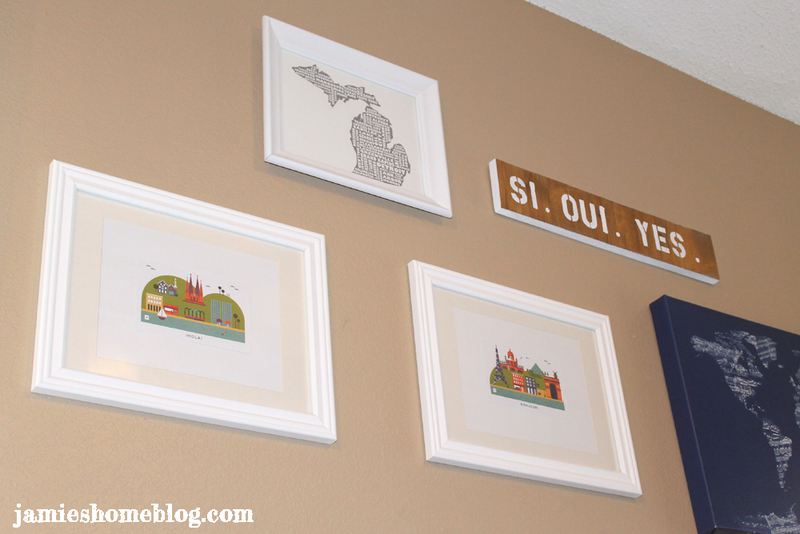 Hopefully my next post about this project will be a reveal and not another #diyfail. 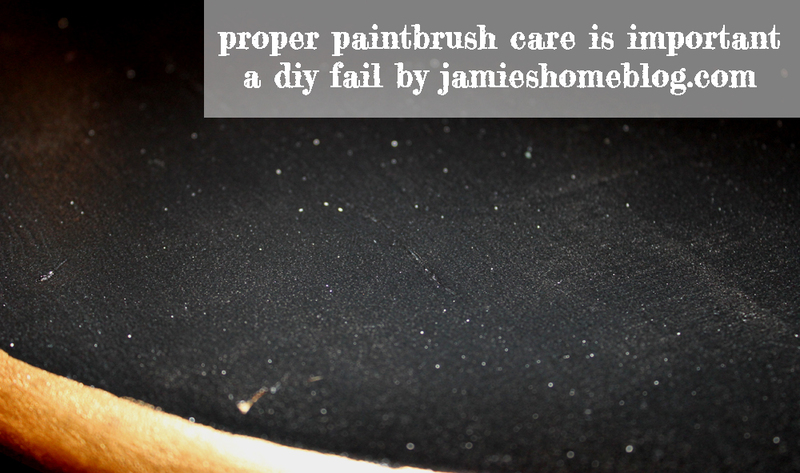 Today’s takeaway: Don’t be lazy, clean your brushes properly, and in a timely manner. If you have some walking around sense, you’re buying good brushes, and replacing them after each use just isn’t practical. 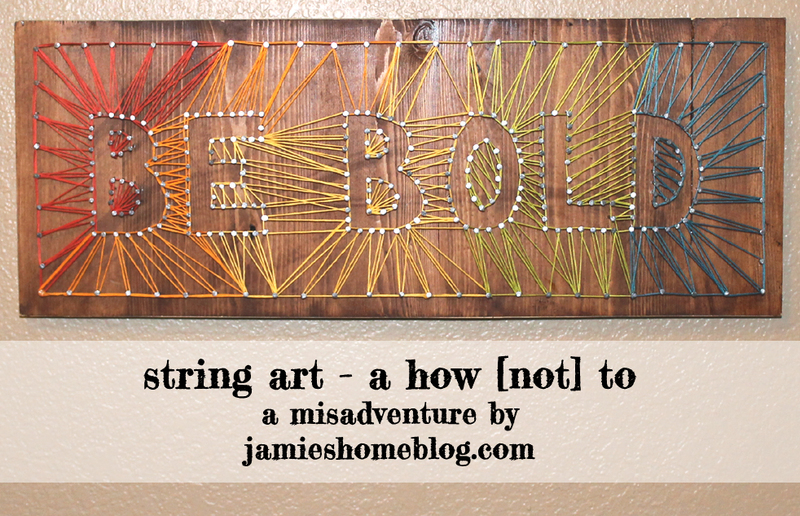 String Art - a "How [not] To"
© www.jamieshomeblog.com 2013 – 2018. Unauthorized use and/or duplication of this material without express and written permission from this blog’s author and/or owner is strictly prohibited. Excerpts and links may be used, provided that full and clear credit is given to the author and this website with appropriate links to the original content.